This is the record of one of the most interesting personal relationships of modern literature. Between 1913, when Yeats first called Joyce’s work to Pound’s attention, and 1920 there was a steady flow of letters, in which we see Pound finding publishers for Joyce, collecting money for him, defending him against censorship, even sending spare clothes. More than sixty letters from Pound to Joyce have survived, while those from Joyce to Pound will be found in the Viking Press Joyce correspondence volumes. Perhaps the most remarkable letters are those in which Pound gives his spontaneous reactions as the scripts of Dubliners, Portrait of the Artist, Exiles and Ulysses first reached him. We can then trace how these judgments were refined and amplified in the series of pieces that Pound wrote on Joyce for various magazines, the earliest sustained criticism of his work. And finally there are the later insights of the Rome broadcast of 1941 and the references to Joyce in The Pisan Cantos. 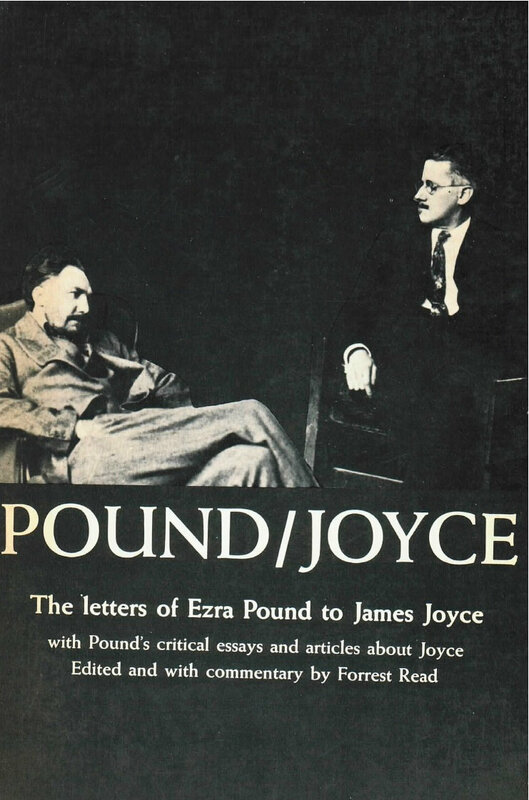 Pound/Joyce has been edited, with an introduction, extensive running commentary, notes, and a wealth of related material from many sources, by Forrest Read, who is Professor of English at the University of North Carolina.